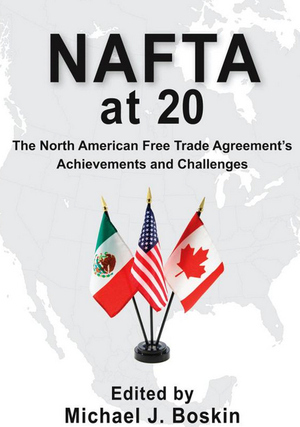 Over the next few rounds of negotiations on the North American Free Trade Agreement, Canada, Mexico and the United States will present more drafts of proposals to revise the deal than they have during previous discussions. The United States will propose the most contentious reforms, such as measures to increase the amount of U.S.-produced content in products imported from Mexico and Canada under NAFTA. The negotiations are unlikely to break down, despite the controversial issues the next round of talks will cover, though they probably will take awhile to reach their conclusion. Canada, Mexico and the United States are drawing their battle lines for the fourth round of negotiations to revise the North American Free Trade Agreement. And the differences in their priorities for the talks, scheduled for Washington during Oct. 11-15, are becoming even clearer. The negotiations will reach their apex in the fourth round, but they will hit plenty of bumps along the way. As the signatory countries address the most difficult items on their agendas, they will run up against one another’s imperatives, making compromise all the more challenging. 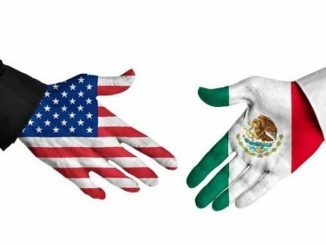 For U.S. President Donald Trump’s administration, the main focus of the talks will be on reducing the United States’ bilateral trade deficit with Mexico and boosting its exports to the rest of the bloc. The United States is expected to propose increasing regional content requirements, the rules that govern the percentage of a product’s added value that must come from within NAFTA, from 62.5 percent to 85 percent to close the gap between its imports and exports. It is also expected to propose a new stipulation — the first of its kind in a multilateral trade deal — requiring that 50 percent of a good’s content come from the United States to qualify for NAFTA benefits. The automobile sector, which accounts for $54 billion of the $66 billion U.S. deficit, is the chief target of these proposals. But the vast majority of U.S.-based automotive companies will object to implementing the measures. The automotive supply chains in the United States, Canada and Mexico, after all, are so closely integrated that suddenly changing regional content requirements would cause major problems across the bloc. Furthermore, it’s unclear whether higher content requirements will help the U.S. automotive sector in the long run. American-made cars and components aren’t as competitively priced as they once were. Many firms may sooner forgo the perks of NAFTA and pay the modest 2.5 percent tariff the United States applies to many light-duty vehicles than take on the expense of complying with the revised rules. And automakers won’t be the only ones grumbling in the United States. Others already have criticized U.S. Trade Representative Robert Lighthizer for ignoring the procedure for raising issues to address in the negotiations. Though Lighthizer has the lead in the trade talks, his office must clear the U.S. position with other government agencies before presenting it to Mexico and Canada. Lighthizer has responded to the complaints that he has bypassed the proper channels by saying that the government eventually will come together on the various issues at stake. So far, however, some of Lighthizer’s demands, such as proposals to institute a sunset clause or an automatic renegotiation trigger in NAFTA and to change its investor-state dispute settlement mechanism, are still points of contention in the United States. Outside the United States, many of the proposals the White House has or is expected to put forth in the fourth round will be no less controversial. Canada and Mexico, for example, probably will object to the sunset clause if it comes up again, having shot it down when the United States first floated the idea. The U.S. administration’s plans for the agricultural sector are bound to raise some hackles, too. Talk of imposing seasonal trade barriers on certain crops during their harvest season to protect U.S. agriculture could be worrisome for Canada and Mexico should their harvests coincide with those of the United States. In addition, Canada will probably bristle at Washington’s demands on its closely guarded dairy sector. Ottawa has several concerns about Washington’s agenda going into the talks, though, compared with Mexico City, it won’t take much heat from the United States over trade deficits. Besides its desires to keep the supply controls on its dairy sector in place, the Canadian government wants to preserve the current dispute resolution mechanism under Chapter 19. The provision enables companies to avoid domestic courts when appealing anti-dumping and countervailing duty cases. And considering the 220 percent duty the United States levied on some Canadian airplane exports last month — to which it added an additional 80 percent tariff earlier this month — maintaining the mechanism is a big priority for Canada. Mexico, meanwhile, is getting ready to stand up to the United States. On Oct. 5, a group of senators from President Enrique Pena Nieto’s Institutional Revolutionary Party outlined the six items that they will refuse to agree to in the new NAFTA. Most of the issues they highlighted are measures the United States has proposed to add or alter, including the sunset clause, the content level requirements, the Chapter 19 dispute mechanism and the seasonal protections on produce. Mexico’s threat to vote against an agreement that addresses these provisions will make for contentious negotiations. The Pena Nieto administration is trying to reach a deal on NAFTA before the next administration takes power and a new crop of legislators enters the Congress of the Union late next year. If the United States pressures Mexico to accept an agreement that crosses its six red lines before the power transition takes place, the deal could die in the Mexican legislature. That puts the negotiators in a tough position heading into the fourth round. No matter how heated they get, however, the next round of talks won’t break down. Mexico, Canada and the United States all agree on at least one thing: that NAFTA’s collapse would be devastating for all parties involved. But reaching a compromise won’t be easy with so many disparate priorities to navigate, nor will it be quick. The talks could extend deep into 2018, at which point they would risk complications not only from the Mexican elections slated for next summer but also from U.S. midterm elections in the fall. In the meantime, the extent of the differences between NAFTA’s three members will come to light as the fourth round of negotiations gets underway.